This huge square in the central Java is surrounded by small gardens. The area is always bustling with different activities. There is a playground in the park. Kids love playing here in the shade of trees. The park is always filled with the people coming for a casual walk or a jog. There are numerous ancient buildings around the square. When you visit this park, you can explore these historic establishments. It will help you in understanding the local culture and lifestyle. Personalize your visit to the city by chalking out a plan using Bumijawa trip planner. Add comfortable hotels to your plan, choose from the recommended hotels in Bumijawa like Anggraeni Hotel Bumiayu and Villa Anandha Guci Tegal. Choose from variety of exclusive Bumijawa vacation packages for your next visit or create own own. Check out the various options for how to reach Bumijawa and finish off your vacation package by booking the ideal transfer. Love this? Explore the entire list of places to visit in Bumijawa before you plan your trip. Fancy a good night's sleep after a tiring day? Check out where to stay in Bumijawa and book an accommodation of your choice. 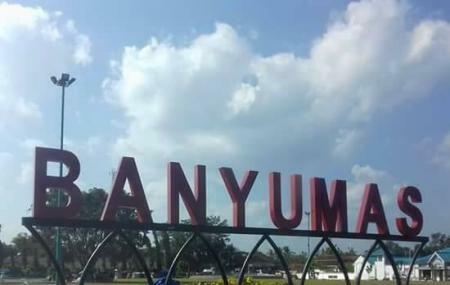 We can see this monument right in the center of the city of Banyumas, which is in the square. Although the place is hot during the day but crowded by visitors. Enjoying trip to hubby's hometown. came when there was a kuda lumping event, so it was crowded but there were still lots of empty parking lots. Not bad there are several places to sit down. Banyak bakul jajanan murah..